Britain wants to keep existing customs rules with Europe for about two years after Brexit as it tries to protect manufacturing exports and jobs. With a third round of Brexit negotiations due later this month, the U.K. is under growing pressure to clarify its plans for trade and immigration once it leaves the European Union in March 2019. The U.K. government said Tuesday in a position paper that it wanted to negotiate customs arrangements that "facilitate the freest and most frictionless possible trade in goods between the U.K. and the EU." During a limited transitional period after Brexit, the U.K. would seek to retain as many of the existing arrangements as possible to avoid the chaos of an abrupt break with its biggest export market, and to allow time for a new trade deal to be negotiated. "One possible approach would be a temporary customs union between the U.K. and the EU," the government said. The EU customs union allows goods to move freely, with no tariffs and few checks, between member states. If Britain leaves the EU without a new trade deal or transitional arrangements, business and consumers could face massive disruption and higher prices. 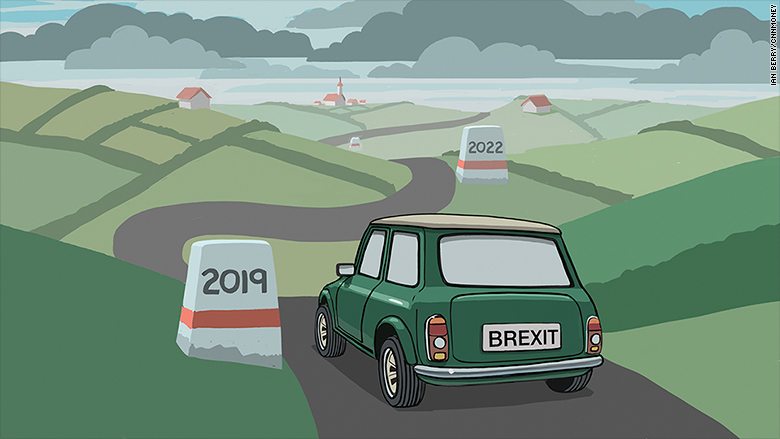 "What business is concerned about ... is the infamous 'cliff edge,'" Britain's chief Brexit negotiator David Davis told the BBC, adding that the transitional period was likely to last about two years. Treasury chief Philip Hammond said earlier this month that Britain may need a transition of up to three years to protect the economy from the shock that a clean break with the EU would bring. Davis said the U.K. would also try to negotiate and sign trade deals with countries outside the EU -- such as the U.S. -- but acknowledged they could not be implemented until the Brexit transition period is over. The European Commission, which is leading Brexit negotiations on behalf of the other 27 EU states, said the publication of detailed proposals should help move the talks along. But a Commission spokesperson reiterated that the EU would only address what happens after March 2019 once sufficient progress has been made on the terms of "the orderly withdrawal." They include the rights of EU citizens after Brexit and the financial settlement -- or divorce bill -- that the U.K. will be expected to pay. There's a huge amount at stake for the U.K. economy, which has slowed sharply this year. Businesses have put investment plans on hold while they wait for greater clarity about what Brexit means. 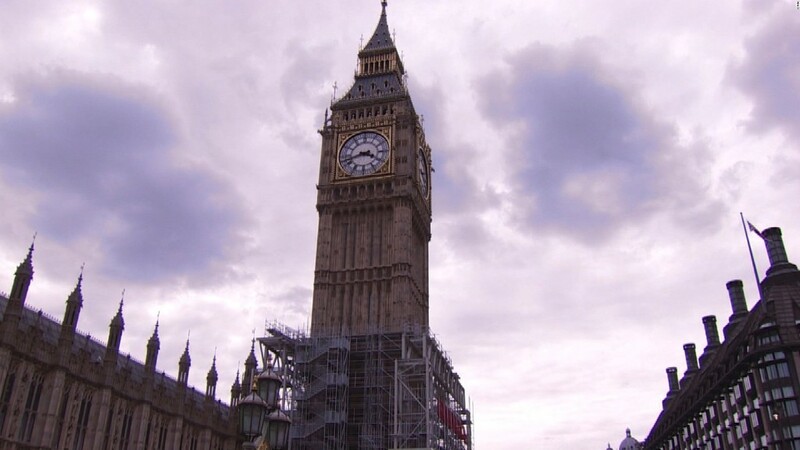 The CBI, which represents 190,000 businesses, said it was encouraged by the government's proposals. "But the clock is ticking and what matters now is giving companies the confidence to continue investing as quickly as possible," it said in a statement. Manufacturing makes up 45% of U.K. exports and directly employs 2.7 million people. EU member countries account for more than 50% of British manufactured exports, and integrated supply chains mean goods can cross borders several times during the production process.